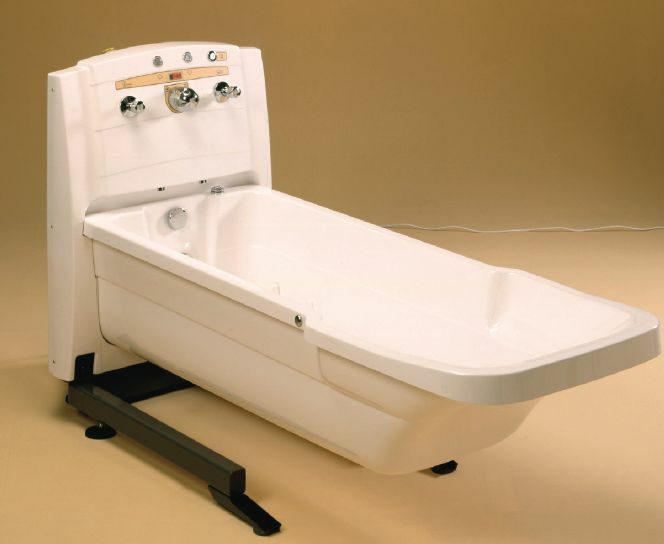 Height adjustable bathtub - TR 900 | H.S.-medplan Kft. 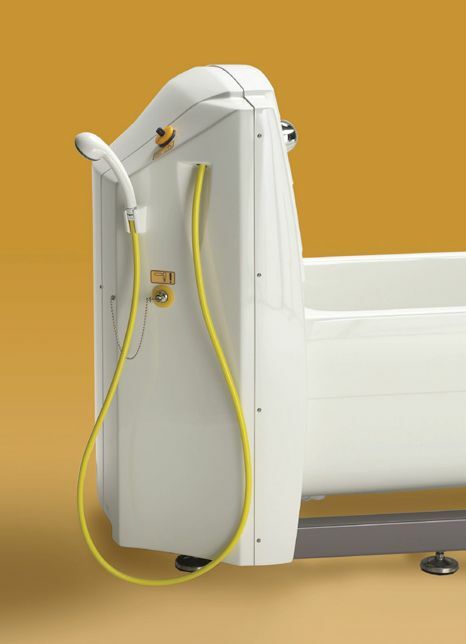 TR 900 is an easy to use height adjustable bathtub gives a relaxing bath for the person combined with an ergonomic work situation for the attendant. 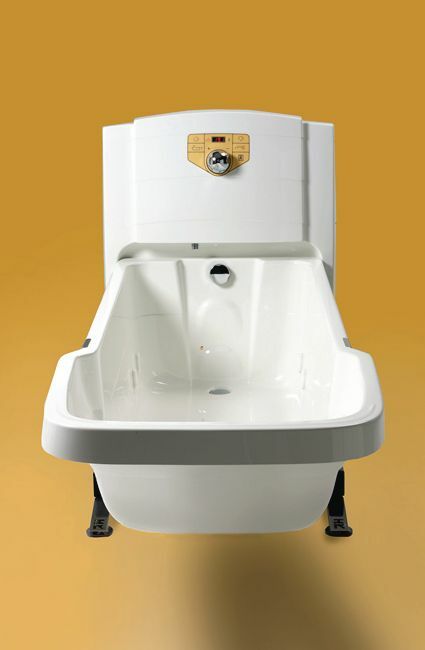 The ”key hole shaped” bathtub design with extra width at the head end allows more space for arms and shoulders and is an advantage when shampooing. TR 900 bathtubs can be equipped with a built-in cleaning and a whirlpool system.